A rescue worker, George Henry Jones, of York Street, Ashton-in-Makerfield, a packer who was at work three miles away in the Arley mine was called upon for the rescue operations. They came across a shotlighter who was moaning on the ground and took him away. At a colliers working place they found three men lying on the ground of which two were dead. 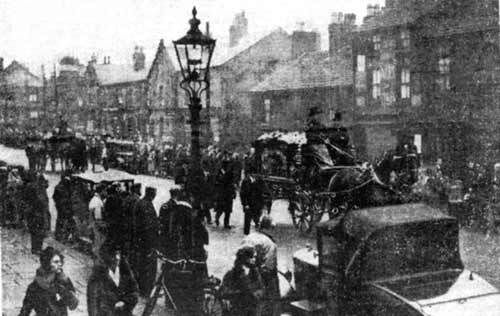 Jones was asked to go and get help and as he went along he saw three lamps but no trace of any men. He reported this to the undermanager who found that a large fall fourteen yards long had occurred. The undermanager had to get over this and by the afternoon a number of bodies had been recovered from under the fall and the bodies were not recovered until an enormous amount of debris had been removed. One of the early volunteers of the rescue workers, John Fearnley aged 25 years, a collier of Old Road, Ashton-in-Makerfield, had an amazing escape. He had rushed from the Arley mine when news of the disaster spread. When the first volunteers retreated from a wall of gas it was discovered that he was missing. His family was waiting at the pit head. He was last seen in the early hours of Sunday morning and as the day wore on it was four o’clock when the news came that Fearnley had been discovered alive. A Doctor went down the pit and took a bottle of brandy and the ambulance took Fearnley to Wigan Infirmary. It appears that he went to the scene of the explosion when he was overcome by the gas and became unconscious. He remembered nothing more until he found he was sitting up against a pit prop with the debris of the roof around him but he was too weak to move and it was very quiet in this region of the dead. He saw a glimmer of lamps and his sprits rose. He called as loudly as he could in his enfeebled state and was rescued. At the Infirmary he had little recollection of what had happened. More details of the conditions below ground and the work done by the men and conditions were revealed at the inquiry into the disaster which took place some months later. The notes on the victims were made at the pit head as they were brought out of the pit and examined by the Doctors. The notes appeared in the report of the official inquiry and were typical of the injuries received by men who had been in a mine explosion. The medical report on the victims was made by Dr. S.W.Fisher, H.M. Medical Inspector of Mines who attended the mine on the day of the explosion and the following day. He visited Wigan Infirmary and there by the consent of the Hospital Authorities, he was allowed to see the men George Dallimore and Patrick Quinn but they were so ill he made no attempt to speak to them. Dr. Fishers’ evidence pointed to the site of the greatest flame during the first explosion being on the No.12 Level. When giving his evidence, Dr. Fisher bore testimony to the assistance given to him by the ambulance men and to the satisfactory nature of the ambulance arrangements. Edward Mitchell aged 55 years, a married man of 7, Russell Street, Wigan who was a pit setters labourer. He had burns to the lips and superficial on the face singed hair. Joseph Pimblett aged 60 years. A married man of 6, Golborne Road, Ashton-in-Makerfield a bricksetter. He had superficial burns and numerous small cuts. Ernest Yates aged 22 years, a single, of 315, Bolton Road., Ashton-in-Makerfield. He had a small burn on his right shoulder. Joseph Lowe aged 64 years. A married man of Birch View, Edge Green, Ashton-in-Makerfield who was the colliery fireman. He had superficial burns. Joseph Hill aged 39 years of 249, Edge Green Lane, Golborne who was a collier. He had extensive superficial burns. Joe Prescott aged 43 years. A single man of Edge Green Lane, Golborne who was a collier. He had superficial burns and no other injuries. Frederick Hughes aged 50 years a married man who lived at 67, Golborne Road, Ashton-in Makerfield who was a collier and had superficial burns and no other injuries. Herbert Hughes aged 23 years who lived with his father who was also killed at 67, Golborne Road, Ashton-in-Makerfield. He had superficial and extensive burns all over the body. Four small wounds cut over the left eye, compound fracture of left elbow. John Pownall aged 56 years. A married man of 46 Church Street, Golborne who was a winner. He had superficial burns and no other injuries. William Campbell aged 41 years of 3, Leigh Street, Golborne. He had extensive and superficial burns and no other injuries. Henry Pennington. A married man of 8, Dane St., Golborne and was a collier, aged 44 years. He had extensive and superficial burns and no other injuries. 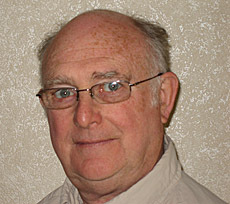 Gordon Rowland Bell aged 52 years. A married man of 6, Helen Street, Golborne who was a collier. He had superficial burns and a scalp wound. Peter Thornton aged 42 years, of 14, Child Street, Golborne who was a collier. He had extensive and superficial burns and no other injuries. William Catterall aged 50 years. He had superficial burns and abrasions to the left side of the face as though he had fallen heavily in dust. He was a married man of 34, Golborne Street, Ashton-in-Makerfield who was a collier. Thomas Woolham aged 37 years who had superficial burns and no other injuries. He was a married man of 4, Church Street, Downall Green who was a collier. James Broughton Brogan aged 41 years. A married man of 26, Liverpool Road, Ashton-in- Makerfield who was a collier. He had superficial burns abrasions to the head and a small scalp wound at the back of the head. Harold Woodcock aged 29 years. He had extensive burns and not other injuries. He was a married man of 12, Edge Green Street, Ashton who was a collier. Thomas Lyons aged 20 years, a single man who was a haulage hand of 34, Dam Lane, Golborne. Burned from head to foot, very sever over the lower part of the thighs back and front. Deep cut three inches long to the bone on the right side of the forehead caused post mortum, bone not fractured at site of injury. Swelling over left upper arm and shoulder. Alfred Gill aged 26 years. A married man of 54, Warrington Road, Platt Bridge who was a collier. He had extensive and superficial burns over the arms calves abdomen and over the back but no other injuries. William Carless aged 18 years a single man of 9, Liley Lane, Ashton who was a haulage hand. He was burnt on both legs right below the knee and inside the thigh. He was burnt on the front left thigh and leg hair singed both arms burnt mostly on the right no other injuries. On his back his right thigh extensively burnt posterior (over scapula region) large deeper burnt area 12 inches by 6 inches, roughly the upper part of back also burnt. He had no other injuries. William Kenny aged 30 years. A single collier of 12, School Street, Golborne who had superficial burns from head to foot. Feet protected by clogs no other injuries. Austin McDonald aged 28 years. A single collier of 46, York Road, Ashton-in-Makerfield. His face and hair singed and extensive superficial burns to the arms and chest and legs. Deeper degree of burning over the whole of the right side of the chest also to the inner side of the thigh and legs. There was a blister containing clear fluid at the back of the waist and a deep cut over lower third of right shin. Jospeh Clough aged 20 years. A drawer who was single and had burns to the forearms and hands, thighs and legs and eyelashes singed. Simple fracture of the lower third left leg. Fred Lodge aged 36 years. He had burns confined to his back and a simple fracture to the lower left third of the left leg. He was a single man of 8, Druid Street, Ashton-in-Makerfield who was a drawer. Hector Beddows. An engine boy aged 16 years of 39, North Street, Ashton-in-Makerfield who was a drawer. He had both hands severely burnt hair and eyebrows singed burning passing along the thighs body pitted where it was pressed against the floor. A piece of coal about three quarters of an inch was driven into the left upper arm. Badly crushed compound fracture of the right leg caused in the opinion of the doctor after death. In every case carbon monoxide gas was the immediate cause of death although some burning was very extensive. Any other injuries were comparatively slight and would not themselves cause death with the exception of the injuries of Beddows, and possibly Clough and Lodge. George Dallimore aged 50 years. He had superficial burns to the arms, chest and head, moustache singed and hair as well. He was asleep and unable to be questioned. Tannic acid treatment was administered at the colliery and continued in hospital. He died on the 18th November 1932. Patrick Quinn aged 55 years, a shotfirer of Golborne Road who had a compound fractures to both legs dislocation of the right ankle lacerated ear fractured jaw. He was too ill to be questioned in hospital. There were visual signs of carbon monoxide poisoning which was shown by the pigmentation to the face and lips, was absent. This could have been due to the time that had elapsed. He died 19th November 1932. William Williams aged 22 years of Bank Street, Golborne who suffered from shock and the effects of gas. John Devenny of Colliery Cottage, Edge Green, Golborne who suffered from the effects of gas and shock. George Gilmore aged 50 years of Victoria Road, Platt Bridge who had burns to the face and shock. The victims were buried at St. Thomas’ Church of England, Ashton-in-Makerfield, St. Oswald’s, Ashton-in-Makerfield and Downall Green Parish Church.